With a diabetes diagnosis also comes the daily task of self-management, and if you have lived with diabetes for any amount of time, you know that that’s no easy task. Not only do you have to become an expert in how your body reacts to different kinds of foods, you also need to understand how to manage your blood sugars with medication and exercise. 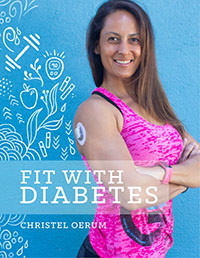 If you are part of the large majority of people living with diabetes who don’t take any diabetes medication or takes medication like Metformin that doesn’t lower blood sugars instantly, exercise is the easiest way to lower your blood sugar. The first thing to ask yourself is what you are trying to achieve. Is the goal to get a sticky high blood sugar down to your preferred range or are you looking to lower your average daily numbers by improving your insulin sensitivity permanently? Depending on your goal, different exercise strategies should be considered. If you’re experiencing a post-meal high (or another sticky high), I recommend a brisk walk or living room dance-off, accompanied by plenty of fluid. (Here I have to note that if you have ketones in your urine or have several very high blood sugar readings, you should contact a medical professional). What you want to achieve is an increased heart rate that stays up for a period of time. This type of activity is called steady-state cardio and will typically lower blood sugars pretty quickly. Most people I have worked with see an impact already after 15-20 minutes, but it really depends on you, your blood sugar level, and your insulin sensitivity. I usually recommend a brisk walk, but it can be whatever activity works for you, as long as it raises your heart rate. If its’ pouring rain or snowing outside, you can walk or dance around the house instead (or put on an exercise video). If you have limited mobility, it might be something as simple as standing up and sitting down several times in a row or simply fluttering your legs while seated. Work with what you got! I think you get my point by now, just move, and get your heart rate up! I also mentioned hydration, which is a critical component. Most people forget to get enough water throughout the day, and being dehydrated does not help when it comes to lowering blood sugars. So make sure to drink enough, even if you live in a cold climate. Being on the defense when it comes to blood sugar management isn’t always optimal, but let’s face it, it happens. But that doesn’t mean that you can’t be proactive when it comes to improving your insulin sensitivity, and thereby daily blood sugar levels. The key to improving your insulin sensitivity is to add resistance training to your exercise routine. And before you stop reading, I’m not necessarily talking about hitting the gym and lifting massive weights. You can, of course, do that, but if resistance training is new to you, I suggest you ease into it with bodyweight exercises in the comfort of your home. Start out with pushups against a wall and air squats until you build up enough strength to advance to more demanding exercises. If you decide to exercise at home, check out my workout video library for inspiration. The beauty of resistance training is that it will improve your insulin sensitivity up to 48-hours after you’re done! Increasing your overall muscle mass will further serve to permanently improve your insulin sensitivity. While resistance training is great for improving your insulin sensitivity, it’s not the appropriate type of exercise if you’re looking to get a high blood sugar down quickly since it can make your blood sugar increase during your workout (you can read why in this post). The spike in blood sugars that many people see during resistance training (or other types of anaerobic training) is only temporary, but not what you want if you are trying to lower your blood sugar. I hope that this post has given you a good idea of how you can use exercise to lower your blood sugars, even if you’re not on any medications, as well as given you an overview of which types of exercise if optimal for different goals. Now go have fun with it! This was SUPER helpful in explaining some of the mysteries of my BG levels. I am typically an active person but was only diagnosed 2 years ago at the age of 44. What I discovered this summer is that long slow runs and swimming seemed to be better for lowering my BG levels. Anyhow thanks again this is great!! What I want to know now is regarding insulin sensitivity. If you become more insulin sensitive that means the insulin “works better” meaning you typically need less of it for the same amount of BG lowering. Can you explain the “works better” piece? Does this mean that body more readily stores BG as fat? Improved insulin sensitivity is mainly related to the muscular system as well in the liver. 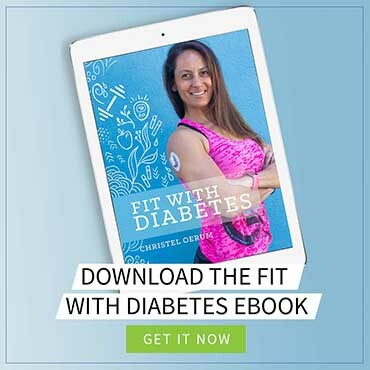 A good article for you to read could be the American Diabetes Associations 2016 position statement on exercise and diabetes, that one goes into details with the different types of exercise and insulin action. But one way of viewing it is seeing muscles as glucose gas tanks, the more gas tanks you have, the more you can fill and the less glucose will be in your bloodstream or stored as fat. My blood sugar always drops 100% of the time while doing physical activity.